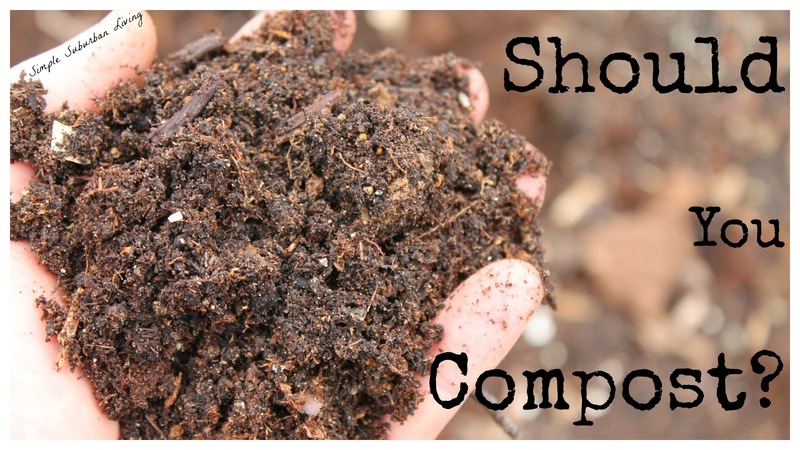 Easy Composting Method - The Best Time To Start Is Now! Every year I see people burning and bagging leaves, are you one of those people? If so check out this easy and basic process for composting that we have found to work very well. We stopped giving away our free fertilizer a few years ago and we will never turn back. We now do not throw away any organic material from our yard or kitchen unless it is somehow toxic or gone really, really bad. All of our leaves, sticks, sawdust, chicken manure, food scraps, cardboard, compostable paper products, and much more all end up being processed right back into our garden beds. Is there any other way? I can't imagine going out to the store and buying fertilizers and compost that some company is selling back to the same people that left their yard waste at the curb, doesn't that seem silly? There are many resources out there on what you should compost and how much of each type of item to put in the pile or bin or whatever you have setup. I go with a simple and very general rule of thumb. We add about 75% carbon material (leaves, saw dust, cardboard, paper, wood chips, etc.). This is the base to any good compost and handily this also makes up the majority of most peoples yard waste (remember that giant pile of leaves you had to rack up last year?). The next ingredient is nitrogen materials (chicken manure, vegetables, plant materials, last years jack-o-lanterns, and all of our kitchen waste). Just to be clear you cannot add any leftovers or meat products to your compost, only things that at one time grew from the ground in some way. Now that you have all those goodies mixed together the only thing left to do is to wait and turn it over as much as you can remember. I mix mine up about once per week. This allows air to get into the pile and for the bacteria to get to work doing their thing. Many people suggest watering the pile as well but up here in Michigan I would not do that unless it was a drought. I might pour a bucket of nitrogen rich aquaponics water on it if that was needed. We have found the best way to get started and make sure that our lazy genes don't take over is to keep a small container on the counter in your kitchen for scraps and one just outside your door to move them into every day or two. We use an old mixing bowl inside and an old trash can outside. Once per week or so I take the trash can back to the "pile" and dump it and stir it up with a pitchfork. If things go well and the pile gets cooking you should be cooked down to useable soil in about 60 days or so depending on your weather. This soil has everything that your plants, flowers, vegetables, or anything else needs to grow. If you do this right you should not need to buy soil, compost, manure, or fertilizers for your garden. I hope this encourages someone to get started and save some food scraps from ending up in a landfill for goodness sakes! Kitchen waste can be the best compost for your vegetable garden. The best part of it is that it doesn't require any kind of effort to prepare it. You just need to place a dustbin to collect kitchen waste. This is what you need to do..that's it.. I do follow the same for my own garden and I found excellent results after using it.. I am a beginner at composting, so this article was definitely helpful, I will try some other methods I have read on the net. Some more information can be found on the link: //frcawley.co.uk/rubbish-removal/west-hampstead-nw6/.